// World Vision Vacancy in Ethiopia Infrastructure Officer Job Location: West Guji & Gedeo Zone IDP emergency response, SNNPR Duration of contract : Three Months World Vision Ethiopia (WVE) is an International Humanitarian Christian Organization whose objective is to provide holistic and integrated development and emergency response programs in the country. WVE South RO for h as an immediate opening for a person who fulfills the following qualifications. Major Responsibilities Review EiE TLC/temporary learning center/ or semi-permanent learning center water resource development works & document and make regular discussions with government line offices to create smooth relationships, mutual understanding and support; Collect drawings/designs, specifications, bill of quantities from concerned government offices and review/verify technical compliance. In association with relevant experts from government offices, perform water resources development and other civil works studies and conduct design review as required; Review and conduct detail investigation on TLC construction and other civil works in projects sites before commencement of the construction; Conduct close field supervision to ensure the implementation of water resource development and other civil works projects are in line with the plan, design, available standards, community needs and donors requirement; Prepare monthly, biannual and annual progress reports; Prepare bill of quantities, specification and cost estimate for water resource development and other civil work projects; Facilitate handing over of completed constructions by the EIE projects to the user communities or the concerned government offices and ensure proper documentations for future reference Job Requirements: 2 . Qualifications Required: B.Sc. 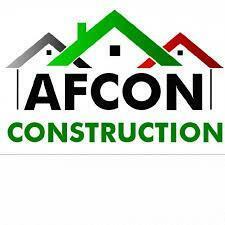 degree in Civil Engineering and other related fields 3. Work Experience: Minimum of 2 years’ experience in construction works in emergency context NGO experience in Construction scheme supervision. 4. Additional Requirements: Committed to WV’s vision, mission and core values. 5. Place of Work : West Guji & Gedeo Zone IDP emergency response 6. Salary: World Vision has an attractive salary and benefits package. 7. How to Apply Interested applicants are required to fill the employment application form (you can get this form from http://docs.ethiojobs.net/wve-jaf.pdf ) and email to Daniel_Tilahun@wvi.org clearly stating the position you apply for in the subject line of application letter and/or the email. 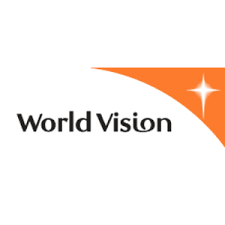 World Vision Ethiopia is a child focused Organization and is striving to keep children safe and is committed to ensuring that only those who are suitable to work with children are considered for this position. Note: We do not receive detail CVs, application letters, credentials and supporting documents at this point & Telephone call to the office is strongly forbidden.